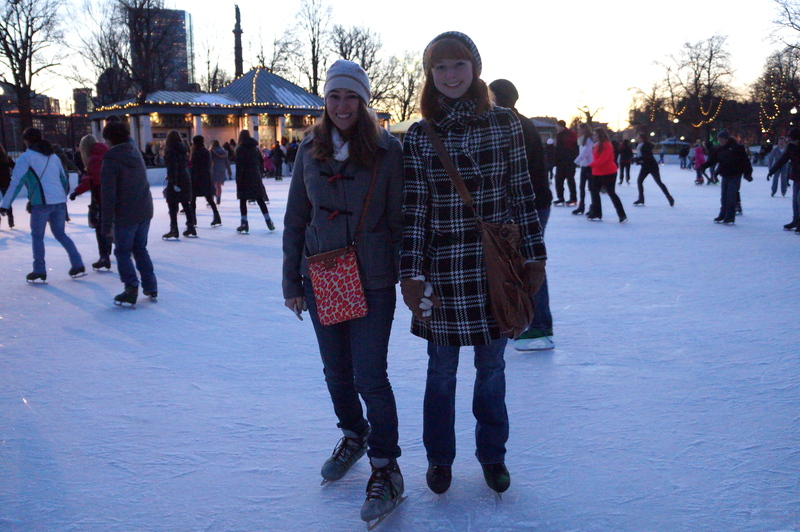 Ice skating is one of the few outdoor activities that is made for winter, so I made sure to not miss this opportunity. It’s chilly at first, but once you start moving around get the hang of it you warm up. We chose a day that was about 40 degrees- not 10! 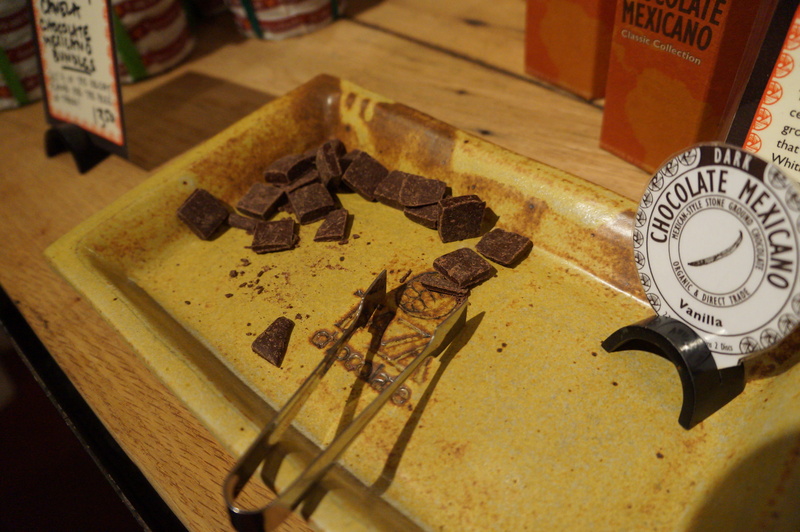 What can I say… I love food and beverage related tours! 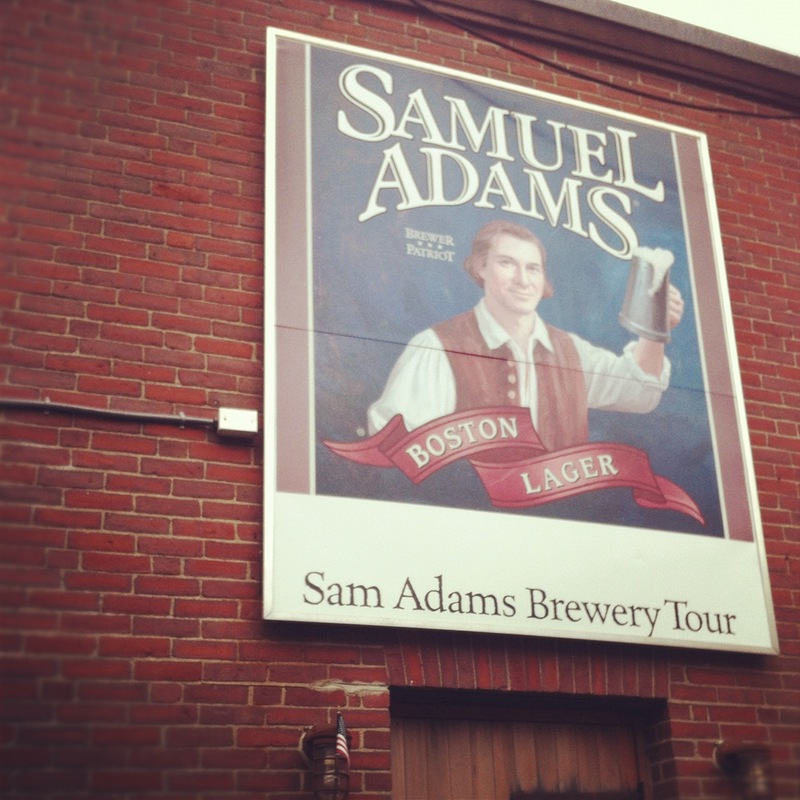 The Sam Adams Brewery Tour appears on many Boston Bucket Lists, and for a good reason. The factory tour portion was a tad shorter than expected, but we still got to see different parts of the brewing process, as well as get our hands on various hops (to smell) and malted barley (to taste) to see how they affect the profile of the beer. The second part of the tour was the tasting room. We tried 3 different types of beer (including the original Boston Lager), and even got to keep the glass as a souvenir. This tour was FREE, with a suggested $2 donation. Proceeds go to local charities. Let’s be real. All of these food factory tours, while educational, aren’t exactly easy on the waistline. But going for a jog isn’t an option in winter weather (at least not for me). So that’s where exercise DVD’s come into play. My brothers got me the Jillian Michaels Yoga DVD for Christmas, and that is definitely my current favorite. But when I am looking for something a little more intense, I do the kickboxing segment of the top DVD. Check out my last post to read more about my exercise routine, plus tips for morning workouts. Last week I joined the Gastronomy Student Association for a seafood bake at Summer Shack. 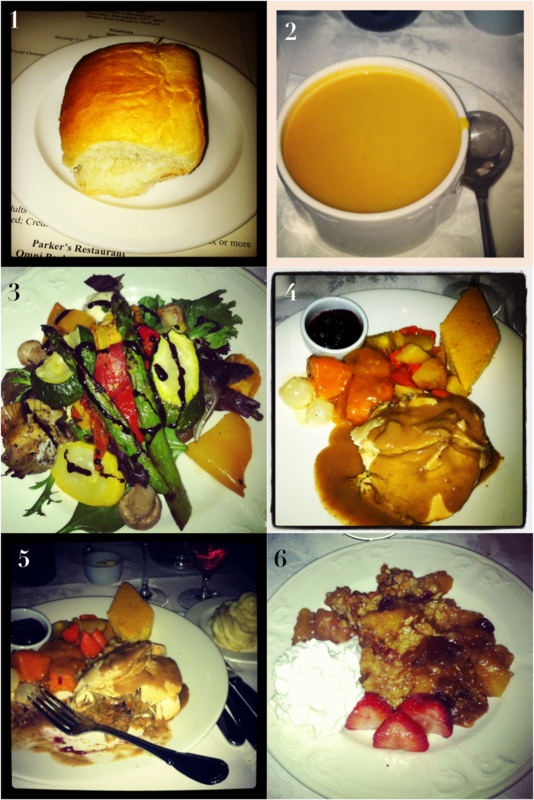 Although clam bakes and the like seem like decidedly summertime affairs, our group dinner was a huge success. My classmates showed me how to properly tackle King Crab legs and Lobster tails, and the paper lined tables and bibs left us no reason to worry about making a mess. 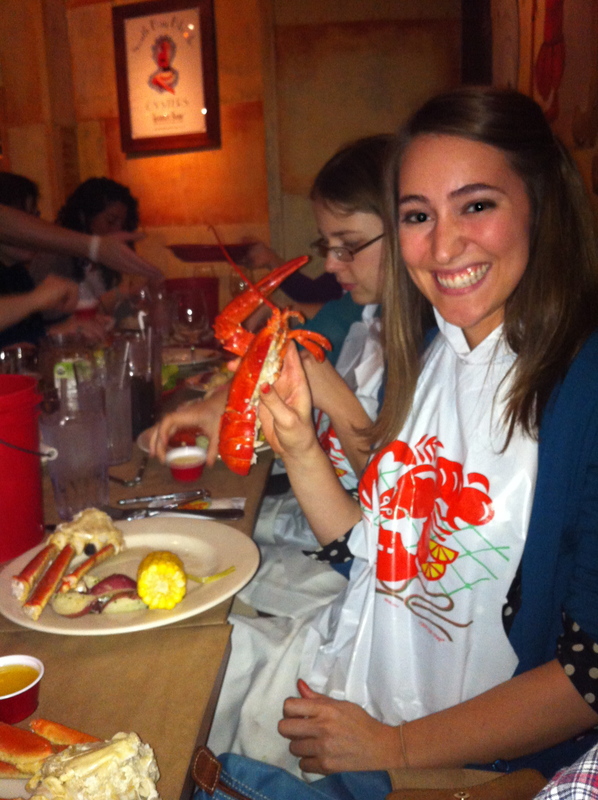 With sides of corn on the cob and red new potatoes, the whole experience reminded me very much of a crawfish boil. 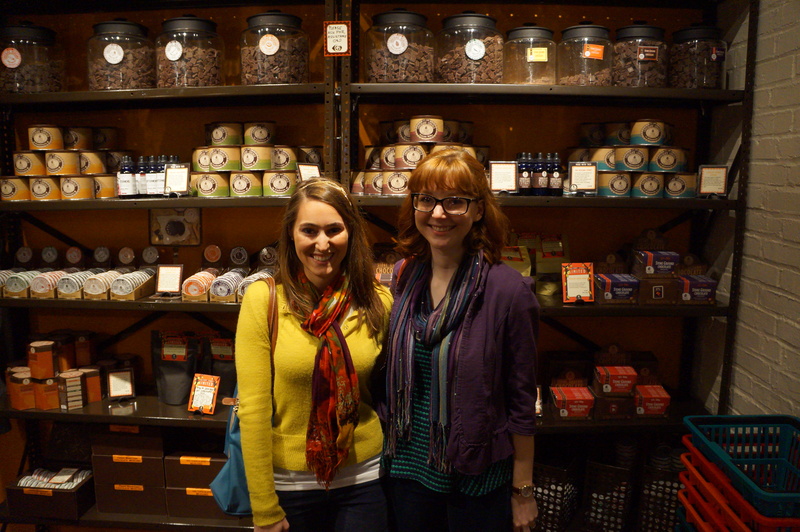 This experience was definitely a must-do for my New England food education! Punxsutawney Phil didn’t see his shadow yesterday, so spring could be here sooner rather than later. How are you going to spend your remaining days of winter? This weekend the Massachusetts Dietetic Association hosted a spin class at Harvard, followed by breakfast at Clover Food Lab. One of the Dietitians in MDA has been a spin instructor at Harvard for 9 years, so she was kind enough to help put the event together. It was such a tough workout! 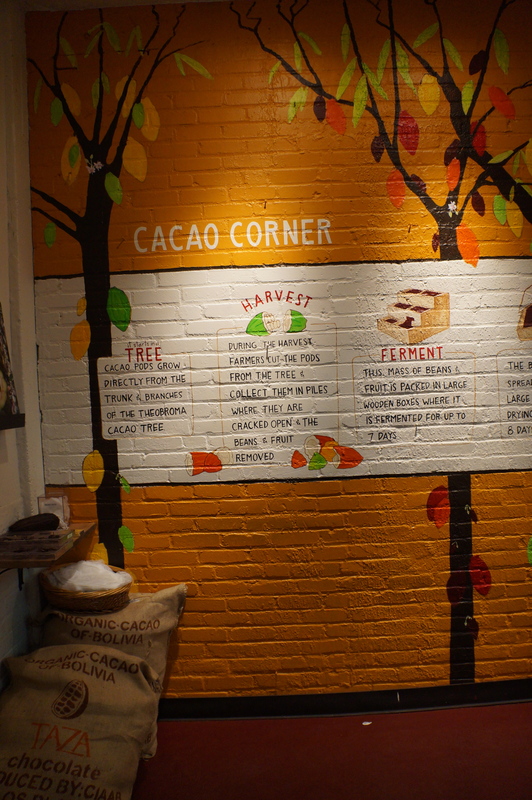 We went to the Clover Food Lab in Harvard Square, where I got a popover breakfast sandwich with tempeh. This was my first time to try tempeh, and it tasted great! Now I really want to try some of their lunch items as well! Although we went to the restaurant location, Clover started as a vegetarian food truck. It reminds me of Conscious Cravings in Austin, TX. The rest of the weekend was spent doing schoolwork. My roommate is also a BU graduate student, so we spent a few hours at the Boston Public Library studying. Bates Hall is absolutely majestic! Because it is finals time and I still have no food, I decided to call in a pizza. I was curious about Naked Pizza, because they advertise that their pizzas are made without added chemicals, preservatives, or additives. Additionally, I discovered that the dough is made with whole grain and prebiotics, the cheese is 50/50 skim milk and whole milk mozzarella, the pizza is made without adding sugar or butter to the dough or sauce, and the nutritional information is all online. At the end of the day, it is still a pizza (still a significant source of fat and calories). But a lightened up pizza made with wholesome ingredients? That’s something that can definitely be incorporated into a healthy diet! I got a thin crust with artichokes, mushroom, garlic, and roasted bell peppers. The 10’’ is perfectly sized for 2 meals, especially if you enjoy it with an apple or a few raw veggies. My only complaint is that there was too much cheese. Next time, I will ask them to go lighter. Hard work, Harvard, and a “Healthy” pizza. How was your weekend? 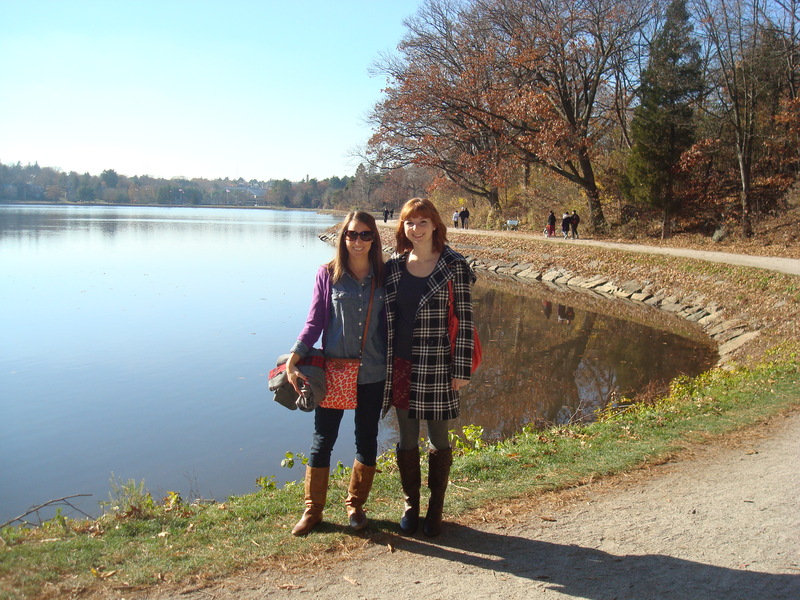 This was my first Thanksgiving in New England, and my first Thanksgiving away from my family. Despite the change, I had an excellent day exploring my new city, spending time with my roommate, and enjoying a traditional Thanksgiving dinner. Boston is an incredible place to be, and I have so many things to be thankful for! 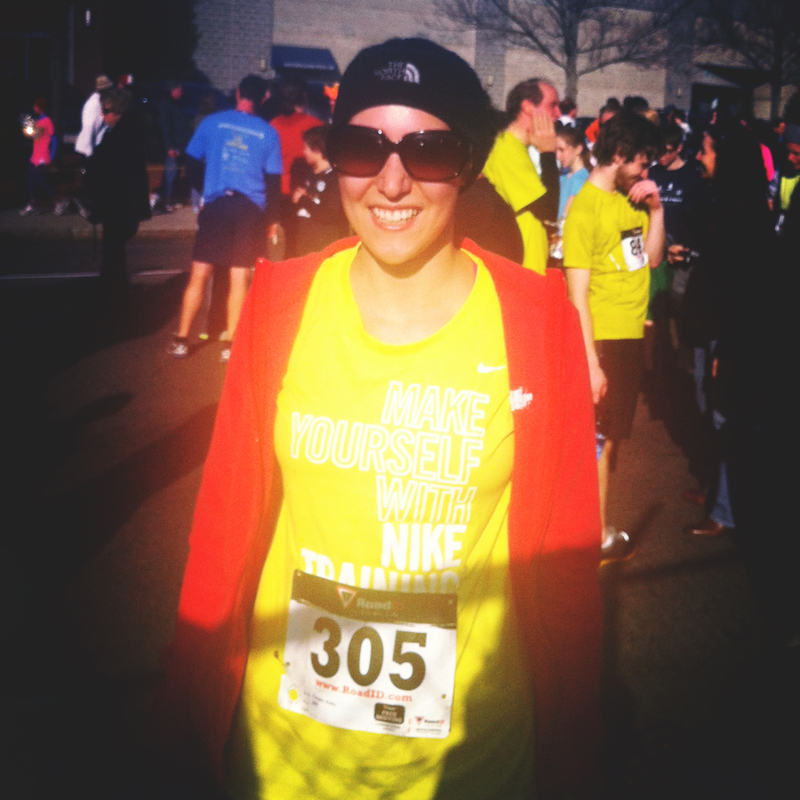 Boston Volvo 5K: My first Turkey Trot! I hope to make this a tradition. Needless to say, I am going to be eating leftovers for a very long time! I hope you had a happy Thanksgiving!